One of the many things I love about We R Memory Keepers is that they really try to make creating convenient for crafters. One perfect example of this is the new Cinch Kits. 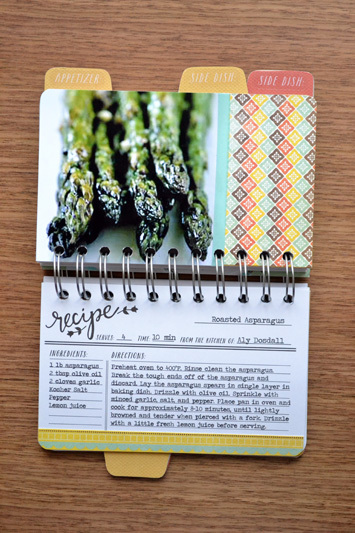 These kits contain everything you need to make awesome mini books, calendars, gifts, and more. All you need to do is add your photos, and your favorite papers and embellishments and you're good to go. 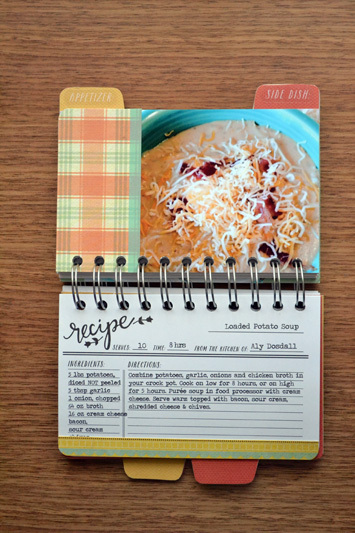 I used the Recipe Book Cinch Kit to create this mini book with some of our favorite recipes. It was so easy since the kit came with all the pre-cut chipboard (tabs included), recipe cards, tab stickers, and perfectly sized binding wire (no need to cut). Plus assembly instructions were included so I knew exactly how to put this together. All I had to do was print and add my photos, cover the chipboard with some textured cardstock, add some scraps of paper, some washi tape, label stickers, and embellish my cover. 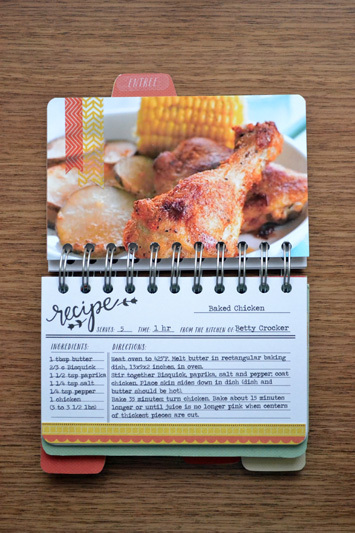 I printed the recipes directly onto the recipe cards using my printer and computer. 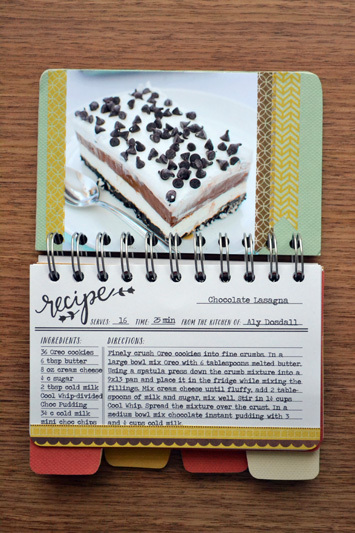 I just had to cut and paste the text since I store most of my recipes on my Pinterest board. 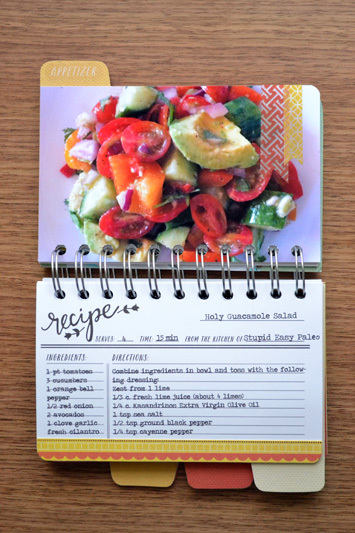 And I simply printed the photos I found with my recipes online. Easy peasy! Another popular Cinch Kit is the Perpetual Calendar Kit. All I had to do for this kit was cover the bare chipboard flaps and base with patterned paper, and then add the days, months, and numbers with some chipboard alphas. 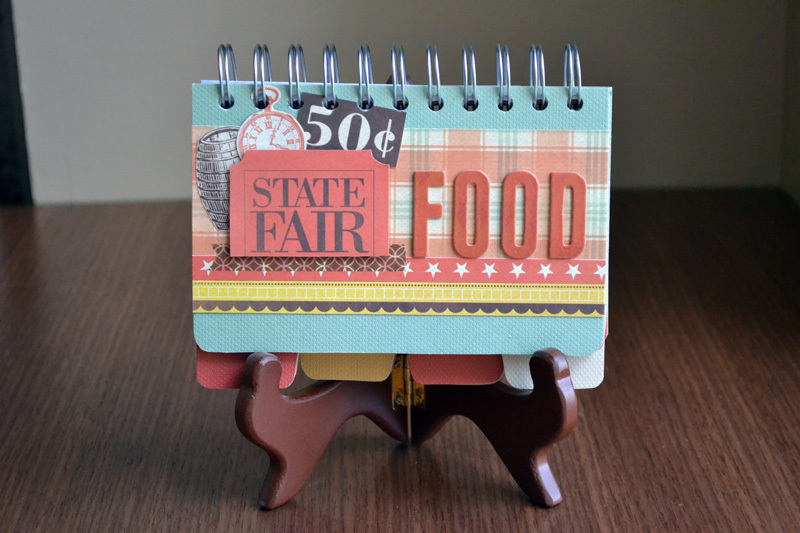 A few die cut banners, frames and words finished this flip book calendar off perfectly. For full supplies and assembly instructions, visit the We R blog HERE.